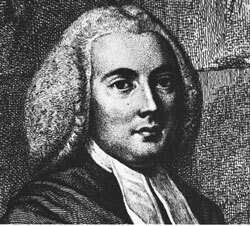 The Boston Religion and the American Revolution. 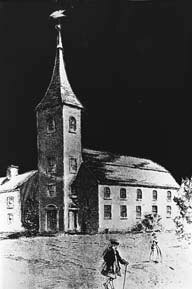 “Old Brick” refers to the third meeting house of the First Church, built in 1713. 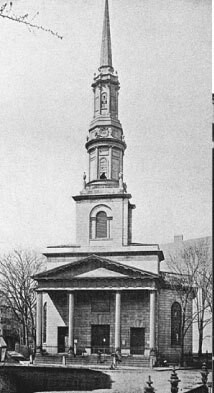 Signal lanterns were also hung in the steeple of the First Church in Roxbury in John Eliot Square throughout the occupation. 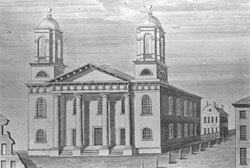 Tourists visiting Boston today are ushered to the North End’s fifth oldest church, Christ Churth, having the least likely steeple for the lanterns chronicled by the Unitarian poet Henry Wadsworth Longfellow. By the time it received its “new” name it was indeed the oldest remaining congregation there. 1. 1649 North, later Old North Church, founded. 2. 1665 First Baptist Church founded. 3. 1714 New North Church founded. 4. 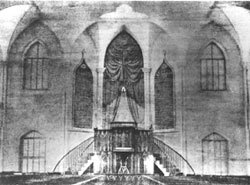 1721 New Brick Church founded. 5. 1723 Christ Church founded. 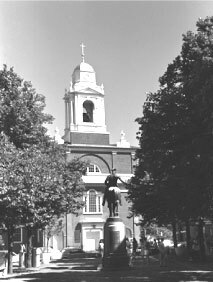 The Boston Religion corrects a common historical misunderstanding as to the identity of the real North or Old North Church. 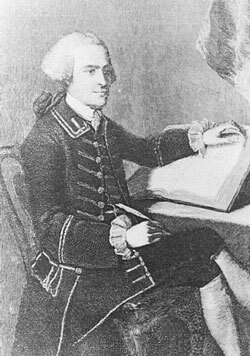 Charles Bulfinch, prominent architect of the Massachusetts State House and the U. S. Capital was a member of Boston’s King’s Chapel and father of a Unitarian minister, Stephen Bulfinch. Among the Boston Unitarian churches you will find five buildings designed by Bulfinch. 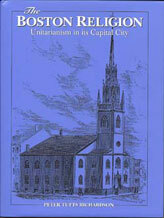 Other architects designed Unitarian churches in Boston including: Asher Benjamin (3); Alexander Parris; Gilman, Fox and Bryant; William Ware and Henry Van Brunt; Henry Hobson Richardson; Ralph Adams Cram and others. 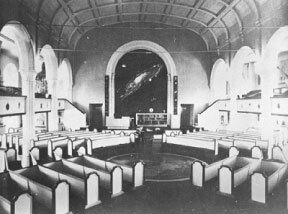 A congregation was established in 1949 which created a worship center with pews “in the round.” Earth’s continents were inlayed in the central round open space as a key to religious centers arrayed around the room. 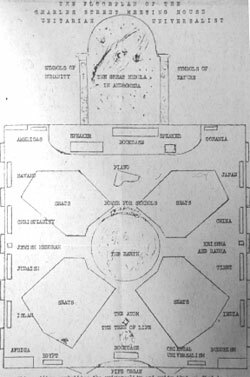 A large mural of the Andromeda Galaxy was on one wall with an axis from macro through Earth to micro, an abstract sculpture representing the atom. This experiment in temple building for a global village challenges us to become, each of us, participants in one humanity.